All you have to do is grab them! 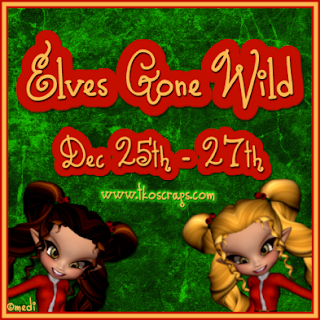 MERRY CHRISTMAS FROM THE TKO SCRAPS DESIGN TEAM!! show their thanks for your continued support. 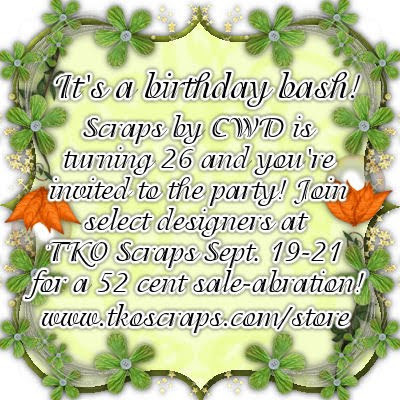 Please join us as we break out the champagne and party favors! Don't miss out on this chance to grab our some of our great designer resources! 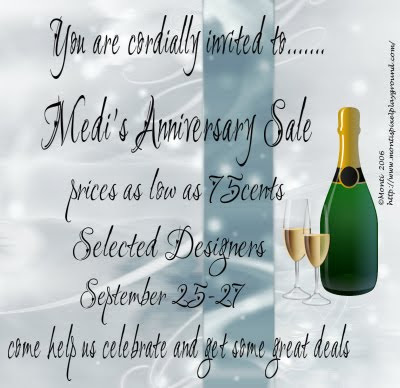 It's Medi's Anniversary so we are breaking out the champagne and strawberries and setting .75 Cents all over the store! Please come celebrate this us! Click HERE to shop! It's Party Time! .52 Cent Sale! 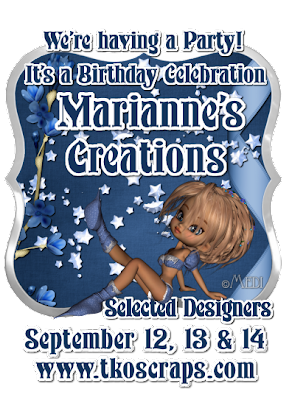 It's Sarah's Birthday Sale-abration and we've gone bonkers! 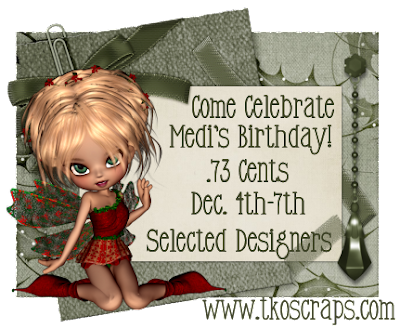 Selected Designers are .52 Cents until the 21st! Don't miss out on this chance to grab our goodies! 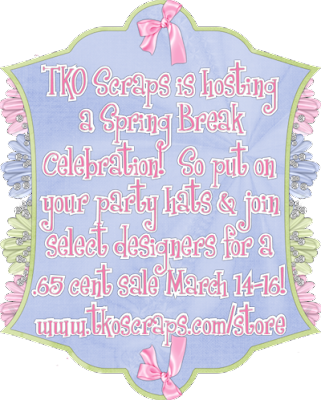 Come celebrate with us at TKO Scraps! designers are joining in on the fun! and run off with our stash! It's that time again! 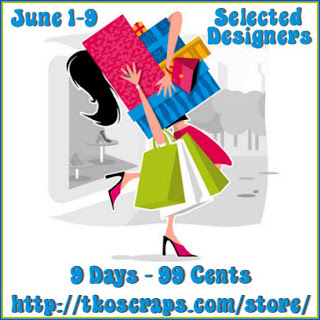 Select designers at TKO Scraps have their products both CU & PU marked to $1 from today through Monday September 7th. 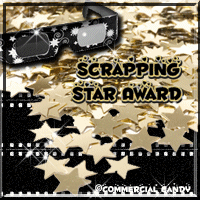 Stock up on all the goodies on your scrappy wish list :) Hurry over and grab savings store wide! 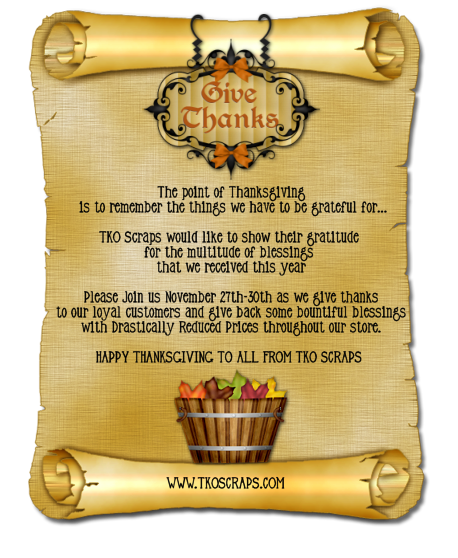 Click the HERE to start shopping! 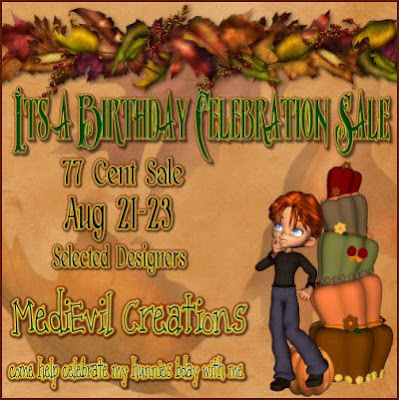 and to celebrate it, We are having a big .77 Sale! Click on HERE to shop! 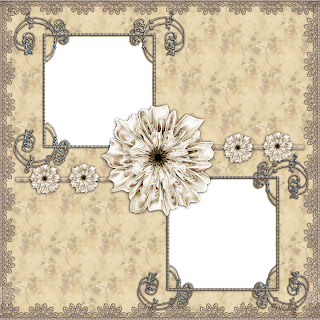 I have finally been able to sit and create a bit and have a kit called Delicate Inspirations almost completed.. I am giving you a personal use Full Size quick page I made from the coming kit .. I hope you enjoy it.. Break out the Rum and Cabana Boys! We are gonna party till our socks fall off! 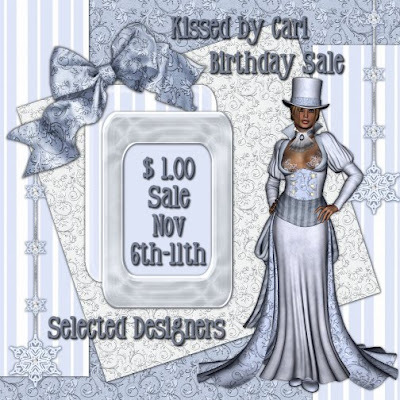 Its My Birthday and to celebrate selected designers are having another wacky sale! 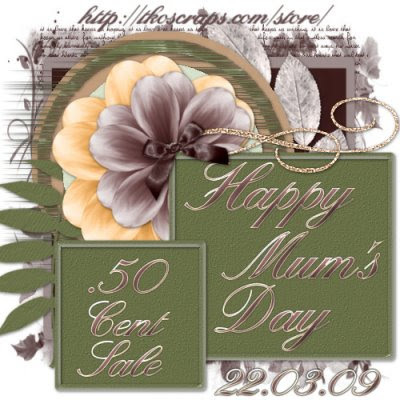 16 lovely ladies have their goodies marked down to .63 Cents!!!! But hurry, sale ends 7/14 !!! 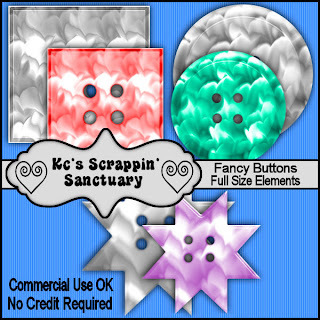 I know its been a while since I posted but my PC has been in the shop for a much needed upgrade.. Now that I have it back I am celebrating by giving you a CU freebie...I hope you enjoy these buttons and there is no credit required but as always appreciated..
DONT MISS OUT ON THIS DEAL IT WONT LAST! Huge 9 day 99 cent sale! 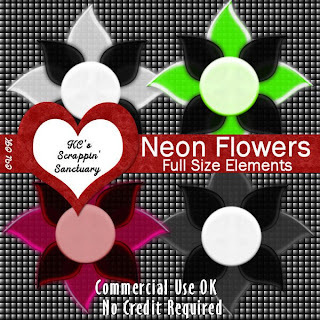 I know I haven't posted in a bit but I have been on a roll with my designing.. 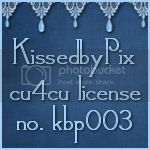 I am also learning how to use PhotoShop for my designing and have been totally absorbed in that new venture. 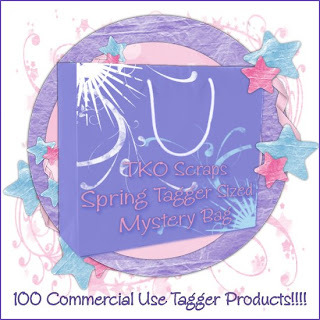 I have 3 new CU products for sale @ TKO SCRAPS and a freebie for you. My newest tagger size Alpha Soft Burberry..after starting this one it sort took on a life of its own. Hope you enjoy playing with it as much as I did. Click HEREto Shop this awesome sale! 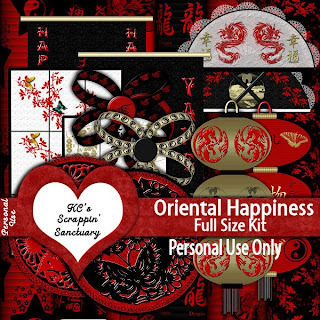 This kit contains 24 vibrant papers and 28 elements in PNG format.. 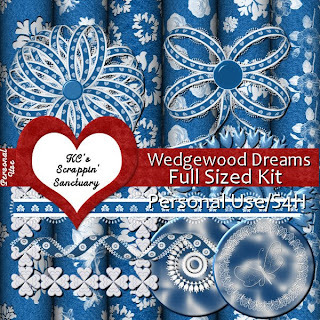 This full size kit was inspired by my want for a set of wedgewood china..I never did get the china but I got the inspiration ..
TKO Scraps has Crazy Sales all over the store. 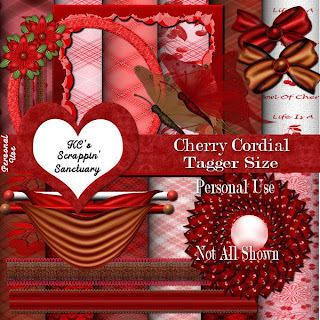 Butterfly33 Designs has her items for .35 cents! 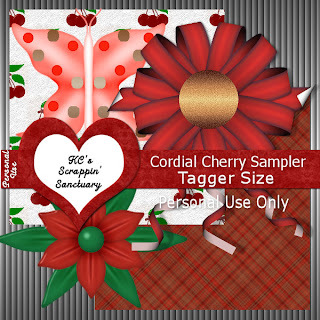 My goodies are on sale for $1.00 here! Then.......50% through the 24th!!!! Whooohooo! 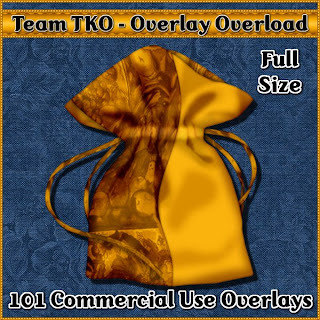 TEAM TKO HAS BEEN AT IT AGAIN! WHAT DOES THAT MEAN FOR ALL YOU TAGGERS? 9 CENTS PER ITEM....YOU CANT BEAT THAT ANYWHERE!!!! 65% OF THIS BAG IS ELEMENTS! 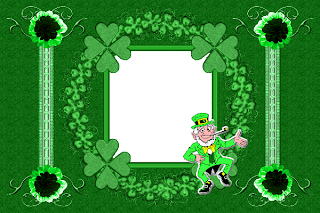 I come bearing a QP from my latest FS kit called Everyone's Irish. This quick page was as much fun to make as the kit itself.. 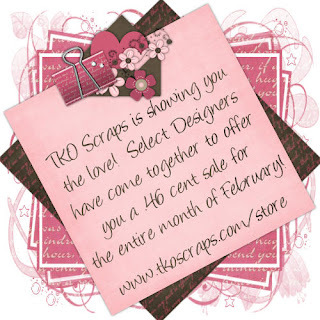 I think its partly because I am Irish and just love Saint Patrick's Day..
A few selected designers @ TKO SCRAPS have their ENTIRE INVENTORIES on sale for the ridiculous price of 46 CENTS FOR THE ENTIRE MONTH OF FEBRUARY..We understand the economic crunch everyone is in and want to help out our fellow scrappers & designers with affordable products that wont break the bank. So stop by and see what we have to offer. 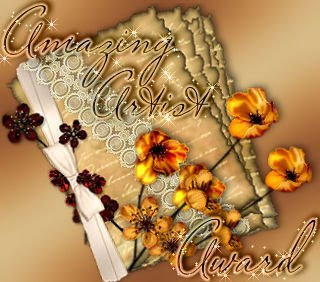 I am sure you will find something that will brighten your day. 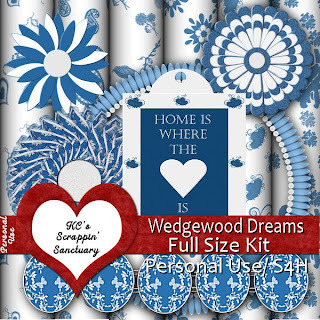 As you know the Valentine's Day Blog train is rolling thru my blog and I hope you are enjoying your ride but I also have ANOTHER amazing heart shaped kit for your consideration and it benefits an amazing cause.. I have recently had a heart scare and it was because I DID NOT KNOW the statistics we face on a daily basis.. I know them now and have vowed to help women avoid what I have just been thru. 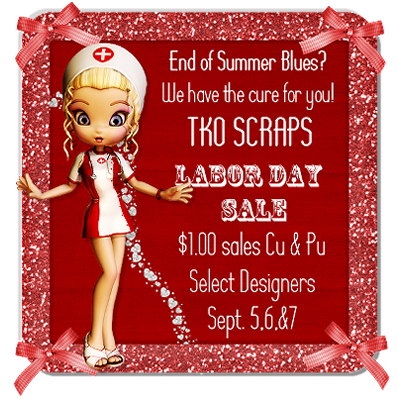 Stop over to TKO SCRAPS and HAVE A HEART.. Your donation is much appreciated. 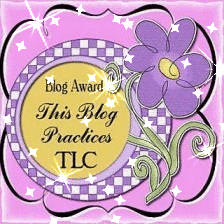 I have been a bit remiss in thanking people that have honored me and my blog with awards...I appreciate each and everyone of them and am proud to call you my friends and fellow designers. 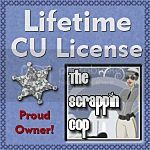 I am so new to designing and it is your friendship and encouragement that keeps me learning each day and continuing to improve my skills. LexiPup We have bee thru so much and I couldn't ask for a better or more understanding friend. I love ya sweetie..
Pixie.. Your friendship means the world to me and I would be lost without ya.. 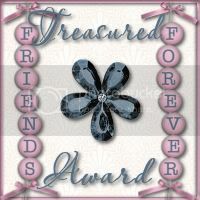 Cari..Thank you so much for your friendship hun.. Thanks for having my back on the special things.. You are such an asset to the team. 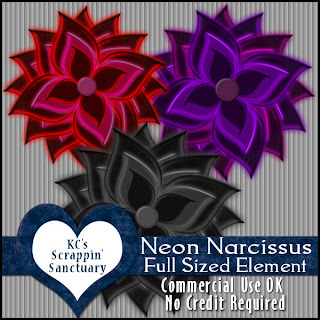 Yep.. Scrapping has given me some awesome friends and I look forward to making more friends in the future. Its almost time for the Train to leave the station. Here is your boarding pass!! Below is the list of FANTASTIC contributors for this trip. and get some great FREEBIES! 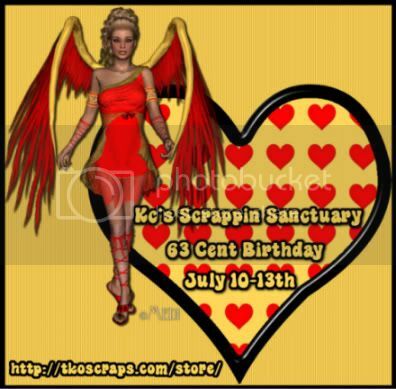 Please join our friend Diva Designz in celebrating her 18th Wedding Anniversary! 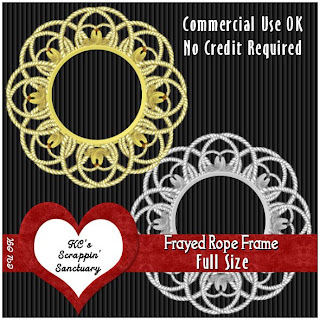 All Mandy's Darling Designs are on sale for .43 cents for a full week! Congrats Mandy on 18th Wonderful Years! and 8 of us wanted to help here celebrate! and wish her another 18 years of wedded bliss! for .43 cents as well. I hope everyone is having a fantastic weekend. 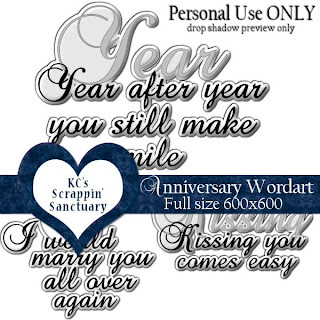 Today is my 21st wedding anniversary so you get a word art freebie. 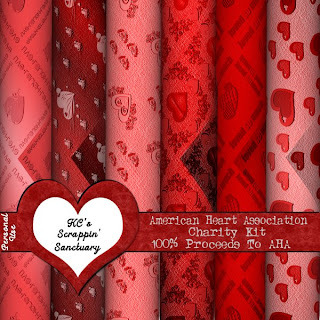 This is just a small part of the kit as it contains over 90 elements, 20 high resolution papers and an alpha...But more then all of that.. 100% of all proceeds will go to the American Heart Association & the receipt will be placed on the home page of TKO SCRAPS. I have recently had a heart health scare and was looking at open heart surgery.. 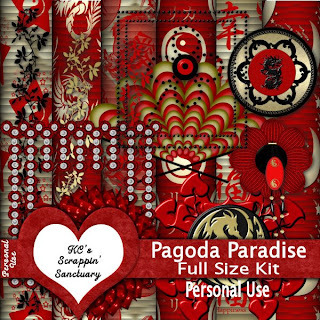 I DID NOT KNOW that your thyroid could wreak so much havoc on your heart but it can..
With your purchase of the Have A Heart Kit you are helping to educate other women against our #1 killer Heart Disease. 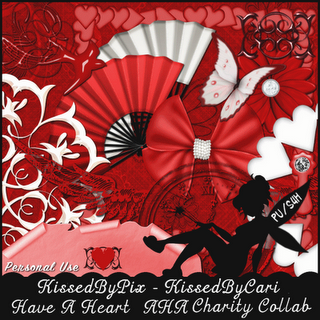 February 9,2009 is the Go Red For Women Campaign. What better way to show your support then to help your fellow women with much needed education. We should not take our hearts for granted. I learned that the hard way. 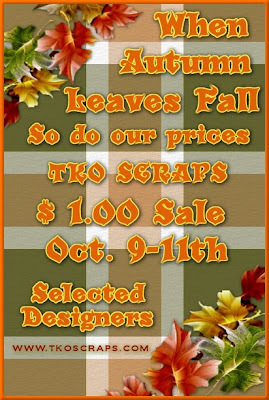 Also check out our 50% off sales through out the store. 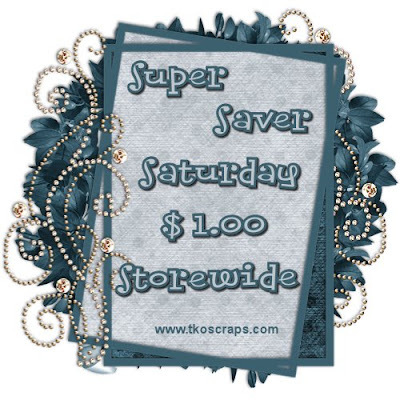 We are a brand new store and you get the savings.